Melatonin is a powerful natural hormone produced mainly by the pineal gland below the brain about an hour after you fall asleep. It helps you sleep more deeply, longer. But it is also an antioxidant, boosting the immune system, and an anti-inflammatory compound, two factors that add up to make sleep naturally healing. Melatonin also regulates levels of human oestrogen (estrogen) and growth hormone in the body, two critical hormones in the cancer process, and it has been found to have epigenetic (cancer-correcting) properties. It has also been found to affect oestrogen receptor sites in the body, modifying them so that ’bad’ oestrogen (human and chemical) cannot bind to them. Melatonin’s production is threatened as we age, and by poor gut health, by alcohol, stress, disturbed sleep (night shift work, long-haul flying) and Electro-Magnetic Fields (EMFs). It is a super-molecule clearly involved in cancer prevention, but melatonin is also an essential part of cancer treatment especially if the cancer is oestrogen (estrogen) positive (ER+) - for example, most breast cancer, ovarian, endometrial, prostate, testicular, colorectal, non-small cell lung cancer, brain tumours etc. 1. Little was known about the pineal gland in Western Medicine until 1958 when Lerner reported that it secreted melatonin. However, the Ancient Greeks described it as ’The Realm of Thought’; Descartes called it ’The Seat of the Soul’. In Eastern medicine it has long been associated with the ’Third Eye’ and intuition, and it is linked to an important energy chakra. There are melatonin receptor sites on cells all over the body. 2. The pineal has also been shown to be the link between the nervous system and the "Limbic System" of the brain. It is thus quite possibly linked to perception and research shows its production is activated, regulated and even damaged by energetic, electrical and magnetic frequencies. These may be your own natural ones, or external EMFs. 3. Science has now shown that the pineal gland is linked to circadian rhythms, and to human seasonal, sleeping and breeding habits. In 2015 it was shown that many strains of your gut bacteria live in the dark but have circadian rhythms too. When your pineal gland produces melatonin, they know it is time to ’sleep’ and they produce melatonin - up to 400 times the melatonin your pineal gland does. This is why a heavy, late meal disturbs your sleep. It disturbs the sleep of your gut bacteria! 4. Some melatonin is found in the bone marrow, where it has been linked to white-cell formation. Melatonin has also been shown to be involved in the production of lymphocytes and macrophages, and is thus an important factor in the immune system and all illness prevention. 5. Melatonin has been shown to reduce the age-related oxidative stress and inflammatory process in the body. Production levels of melatonin decline as we age, but can be restored by supplementation. Melatonin has also been shown to affect C-reactive Protein, trglyceride, cholesterol and glucose levels. 6. Melatonin is produced about 60-90 minutes after falling asleep in a fully darkened room. It pushes you into a deeper sleep. Production is light sensitive and regulatory "sensors" have been found in the retina. Several studies (e.g. The Boston Nurses Study, another on night-shift working) have shown that irregular or disturbed sleeping patterns and sleeping in synthetic light, lower the production of melatonin and this is associated with higher breast cancer risk. Conversely, blind women develop less breast cancer. 7. 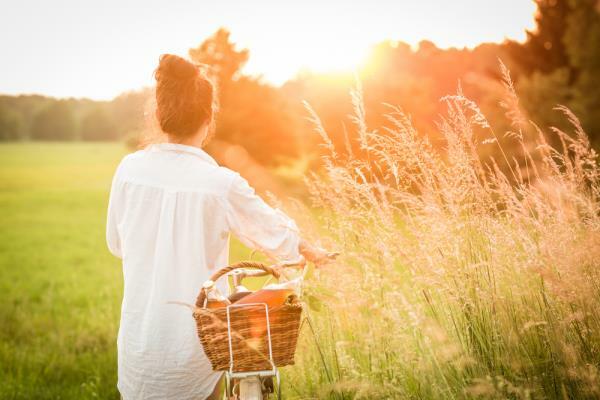 Research has shown that melatonin regulates excess oestrogen levels and excess IGF-1 levels. Both can drive cancer and IARC, the International research agency on cancer, has declared a lack of sleep to be a carcinogen! Melatonin is thus an ’official’ anti-cancer agent. 9. It is now known that EMF’s (Electromagnetic Fields) - from WIFI to mobile phones, to radio masts etc. - can also lower melatonin levels in the body, resulting in a weaker immune system and allowing oestrogen and IGF-1 levels to increase. They can also inhibit the action of tamoxifen which blocks the same cellular receptor sites that melatonin regulates. It is thus of little surprise that EMFs from pylons have been linked to cancers such as leukaemia. 10. Melatonin has been shown to stimulate the production of the immune cells, particularly T-cell, Natural Killer and cytokine production, and its use as a supplement during chemotherapy and radiotherapy reduces damage to the precursors of both white and red blood cells. 11. In a 2015 meta-analysis by the University of Copenhagen over the course of one year, the chances of cancer survival rose from 28% to 52% in patients supplementing with melatonin. Professor Mogens Claesson said that the problem was that melatonin was cheap, with little chance of a patent so Pharmaceutical companies were simply not interested in it, resulting in limited research and awareness. 12. In another study, a 20 mg supplement was given to cancer patients at the same time as chemotherapy - survival times increased, while side-effects fell. In a second study, 1440 patients with untreatable cancers showed the same results - longer survival, less side-effects. Go to: a meta-review on Melatonin and Chemotherapy by Sloan Kettering showing significant survival benefits and lowered side-effects. 13.Studies show that melatonin reduces cell-proliferation, tumour growth and angiogenesis (growth of tumour blood supply). Indeed, this overview shows: melatonin has strong epigenetic (cancer-correcting) benefits in breast cancer. 14. In animal studies by Thaiz Borin and colleagues at the Medical Facility in Sao Jose, Brazil, melatonin has been shown to inhibit the proliferation of tumour cells and reduce metastases in breast cancer and lung cancer. 15. So, how much should I take as a supplement? Supplements of 3 to 6 mgs are commonly taken about 30 minutes before going to bed. Levels above 10 mg have been thought to cause vivid dreams and hallucination, but there is little scientific evidence. And the growing evidence that melatonin can have an anti-cancer effect, especially when combined with chemo and radiotherapy at about 20 mg has caused people to dive straight in at that figure. At CANCERactive we suggest all cancer patients, especially those with hormonally driven cancers, and those on chemotherapy or radiotherapy, consider at least a 3 mg supplement. They can increase to 6, then 9 or more in stages. Some of our patients do take 20 mg without problems. Melatonin is self-defence against cancer! The hormone is freely available over the counter in many countries from Thailand to the USA. But not in the UK or Europe. (although we have recently found it in over the counter pharmacies, in supermarkets in France). If you are already thinking of supplementing, readers might like to see what is available in the Natural Selection shop. Click here to go to the shop. 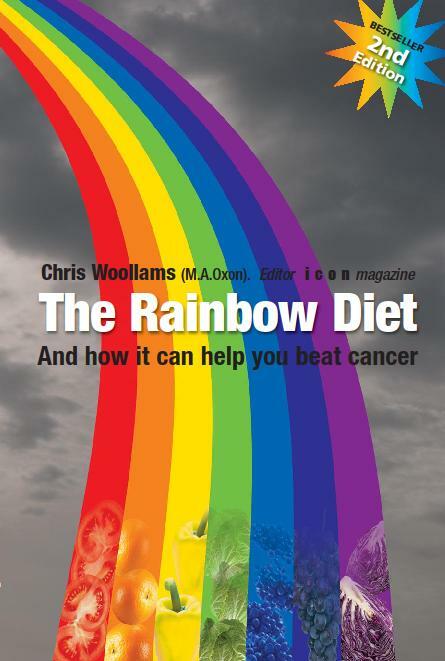 At last - the definitive, research-based book on how to build a diet to help beat cancer. Go To The Rainbow Diet Book to read more about it.